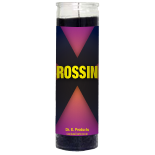 I have been ordering this candle for those people that made my life a living hell. I see that it works slowly but surely. Date Added: 08/08/2017 by M. L.